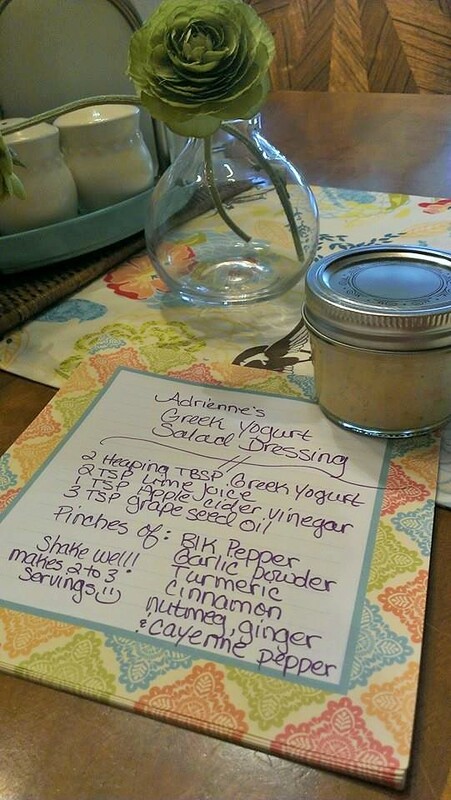 This is a dressing I make a lot and you can even do it without the Greek yogurt. I use a lot of the spices listed below because they help with the digestion process and of course it makes it taste delicious! 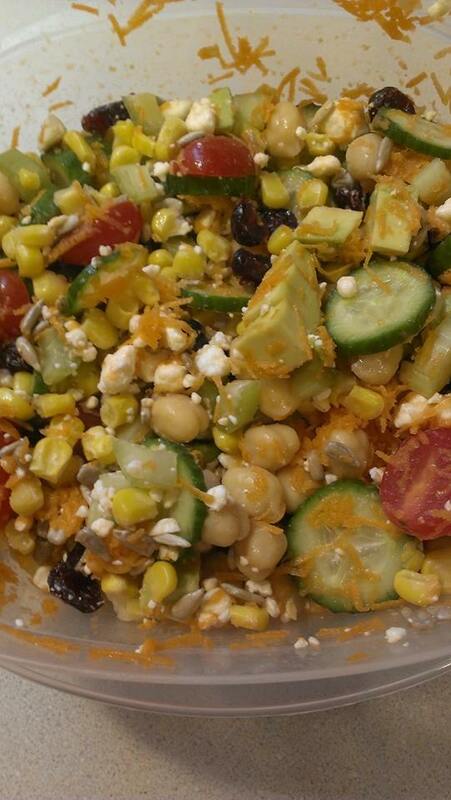 Today I made this mixed up salad (not sure what else to call it) with corn, feta, sunflower seeds, dried cranberries, thinly sliced cucumber, chopped celery, shredded carrots, avocado, chickpeas and tomatoes and when I eat it I will top it with this dressing. Posted on March 10, 2015 March 10, 2015 by awesomelikeadriennePosted in EatTagged avocado, carrots, cucumbers, dressing, dried cranberries, greek yogurt dressing, salad, sunflower seeds. Looks yummy! I will definitely try this. Great Jill! I am sure you will like it! !